One of the complexities of the modern pharmaceutical supply chain occurs when a pharmaceutical dispensing organization “outsources” the management of their on-premises inventory to their supplier, or “vendor”. This is known as Vendor Managed Inventory, or VMI. There are several good reasons this might be done, including eliminating the need to deal with issues that have more to do with supply chain execution mechanics and fluctuating supply and demand than they do with the core competency of dispensing drugs. When VMI is used in the pharma supply chain the supplier is typically a wholesaler whose core competency is in dealing with those exact issues. That’s just what they do. The wholesaler benefits from the VMI relationship because they become the exclusive supplier to the VMI customer. VMI can be a “win-win” proposition as long as costs are kept in-check. But what will happen to VMI relationships in California after the California pedigree law goes into effect? I don’t recall much being said by the California Board of Pharmacy about these business relationships so we just have to follow the logic of the law to figure it out on our own. The main thing to look for when applying this law is any change of ownership of a drug. Those are the times when a seller must provide a pedigree to the buyer. In a VMI situation, the drugs sitting in inventory at the dispensing organization’s location are usually owned by the supplier. The change of ownership to the dispenser usually occurs only at the moment when a drug is administered or dispensed to a patient. The “sale” from VMI supplier to dispenser occurs on paper (or electronically anyway) as the drug is being “resold” (dispensed) to the patient. In this way the dispenser never actually carries any inventory of the VMI product. This is true even though a casual observer—or a Board of Pharmacy inspector—would see lots of inventory sitting on the dispenser’s shelves. The dispenser has custody of the drugs, but does not own them. The Board of Pharmacy has also made it clear that anyone in the supply chain within California who is in custody of drugs which they do not own must be able to show a pedigree for them. We see this in their position on third party logistics providers (3PLs) which do not own drugs but are warehousing them and fulfilling orders on behalf of a manufacturer. In that instance, the Board expects to be able to see a pedigree for any drugs sitting in the 3PL’s warehouse, even though the first change of ownership has not yet occurred. Presumably these pedigrees would clearly show that the manufacturer still owns the drugs. Applying the same logic to the case of a dispensing organization that makes use of VMI within the state of California, the VMI supplier would need to provide the dispenser with pedigrees for all drugs in their custody showing the full supply chain ownership history up to the supplier’s acquisition of the drugs. That way if the dispenser is visited by a Board of Pharmacy inspector they will be able to show pedigrees that accurately reflect the prior history, including the current ownership situation. At the moment of dispense the dispenser would become the owner (momentarily) so pedigree updates would likely be required to show that change. Presumably as a result, the supplier would have to provide the dispenser with an updated pedigree showing a “shipping” transaction, and then the dispenser would have to update that pedigree with a “receiving” transaction. That way the history reflected on the pedigree which the wholesaler retains, and that on the one the dispenser retains, will accurately reflect the reality that has occurred from their different perspectives. Again, these are my assumptions, check with the Board and/or a lawyer. A Board representative has talked recently about requiring dispensers to also “decommission” any manufacturer-serialized supply chain packages that become empty as the result of a dispense, which would be an added complication if it sticks (see “Should Pharmacies Decommission EPCs Upon Dispense?”). Of course, any dispensing organization that has decided to shed all of the pharma supply chain hassles by compensating someone to manage their inventory for them probably won’t want to deal with ePedigrees either. In that case they may rely heavily on the VMI supplier to take as much of that work off their hands as possible, leaving only the need to certify the pedigrees at the time of dispense, assuming the Board would allow that arrangement. There is a fair amount of speculation in how VMI could be handled in California under the pedigree law, as this essay shows. Companies who want to continue using that business process may want to confirm many of these assumptions with the Board of Pharmacy. Can you think of any other business processes in use today where a company has custody of a drug in California but does not own it (other than a courier/delivery company)? Do you think these same assumptions would apply to it, or would different assumptions make more sense? Leave a comment below. It’s not quite that bad. All pedigree laws that I know of consider pedigrees to be a “supply chain” protection technology and so the pedigree updating ends when the pharmacy takes ownership. Patients are not considered part of the “supply chain” so no update would be needed, unless perhaps the bottle of 1000, in your example, becomes empty on any given dispense to a patient. Thanks for the clarification. So how does it work with unit-of-use packaging, such a birth control packs, steroid pacs or unit-dose systems when you acquire 500 or 1000 pacs at a time? Will each unit-of-use bottle or package have a unique serial number or will they share a common number from a larger container? I thought it was going to be a “family type” numbering system–common characters associated with container. 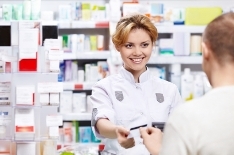 It is my understanding that the pharmacy doesn’t take possession until the last unit-of use package or tablet is dispensed and I suppose the pharmacy’s payment for the product would be due then. Is this correct? Good questions. Before serialized pedigree laws I think you would find that wholesalers would sometimes break a manufacturer’s grouping to sell a smaller quantity of unit of use products. But after the California law goes into effect, the wholesaler will no longer be able to break a grouping of these packages below the lowest level that the manufacturer has serialized. So the manufacturer will determine the lowest quantity of units that can be sold to a pharmacy in a single grouping (down to a single unit) by serializing at that level and above. If a single unit of use is serialized, then the issue goes away. As for when the pharmacy takes actual possession, I think that would vary today based on the wording of the VMI contract. I think that under a pedigree law wholesalers will want the possession to take place when the bottle is used for the first dispense, but that’s just a guess. Thanks so much. This makes sense to take possession once the first unit out of the container is sold/dispensed. I guess the one thing pharmacies will have to watch for is how the industry will package unit-of-use drugs since the packages cannot be broken down by the wholesaler. I don’t think this is large threat, it just means pharmacies will buy less often if the package size gets too large. Perhaps industry will use smaller packages to accommodate smaller pharmacies. If not it does have the potential of hurting product turnover rates. It will be interesting to see what happens. For 3PLs is it not sufficient for our customer(usually the manufacturer)to maintain the pedigree which would show the product shipping to us, and from us to the customer (usually and actual Wholesaler or retailer)? We can certainly show all activity in and out of our warehouse as well to support that. Thanks for your comment. Watch for an upcoming essay on 3PLs operating under the California pedigree law. I think it will be an interesting topic and I hope to answer your question. The serialized item level vendor managed inventory discussion here translates into extensive costly complexity on traditional application software stacks underpinned by Oracle/Microsoft database technologies. Building on open source distributed systems database technologies won’t need the EDI plumbing because the underlying database technologies from companies like Basho, Cloudant, others are designed to handle and guarantee message passing between distributed databases. Whichever technologies are chosen, to put the California pedigree law into effect, I’m sure pharmacy, distributors and 3PL folks will expect system to work as easily as Facebook. To make this happen folks better get busy translating requirements for development prototypes, security verification, scalability and user experience testing. Thanks for your comment. In fact, pharma manufacturers and wholesalers have been working on all of those things you mention in your last paragraph for quite a few years now. It’s the pharmacies who are lagging in that regard, but that probably makes sense considering that their current California deadline isn’t until mid-2017. They’ll eventually enter the fray, and by that time the manufacturers, wholesalers and solution providers will be able to hand them the specifications to follow since such big investments will have already been made while the pharmacy segment slept. That is, technically, things are being baked right now that will be hard to change later because of interoperability requirements. Hopefully it will work for them.